Their Bonham Strand and New Steet hubs combine the best of hospitality and design. 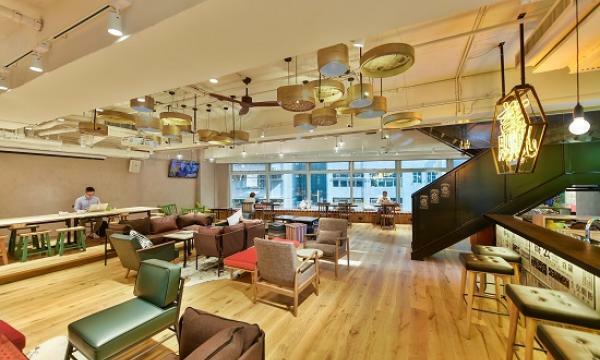 After opening its first two hubs in Hong Kong in 2017, premium office space firm naked Hub is looking to further expand its portfolio in the Asia Pacific this year. Its goal: to add more than 40 new Hubs by the end of 2018. With naked Hub’s emphasis not only on aesthetics and design but also hospitality, it is not difficult to see why clients have been flocking to its first venture in Hong Kong. Deborah Nagrash, naked Hub’s general manager, said naked Hub offers a unique visual identity and language in its Sheung Wan and Sai Ying Pun locations. Its Bonham Strand Hub boasts traditional Tea House elements whilst blending in contemporary office design solutions. Its New Street Hub is home to a street-level outdoor terrace, coffee bar and multifunction rooms. It also features the naked Gallery where clients and community members can appreciate art from local up-and-coming artists. The company is eyeing expansion as it plans to open 10 more hubs in Hong Kong over the next two years.